‘The power of the word is mightier than the sword.’ That may not be the precise saying, but in these cases it is very much true. Here are 11 speeches that have had a huge impact on the world, long after they were given. Some will be very well-known to most people, and others, while less known, have helped to shape the world as we know it today. Never take the freedom that you have for granted. The slave trade is a black mark on Western history, and it can come as somewhat of a shock that it wasn’t until the early 19th century that slavery was abolished in Britain. In a speech to the British Parliament in May 1789, William Wilberforce gave an impassioned account on why the trade needed to cease and was morally reprehensible. His calls fell largely on deaf ears for several decades, but the Slave Trade Act was finally passed in 1807. Wilberforce believed that it was a call from God for him to become an abolitionist, and thankfully this belief gave him the resolve to continue to fight for his cause. As Suffragette has just been released in theatres, it only seems appropriate to include Emmeline Pankhurst‘s ‘Freedom or Death’ speech in our list (and it happens to follow quite nicely from our previous speech on freedom). 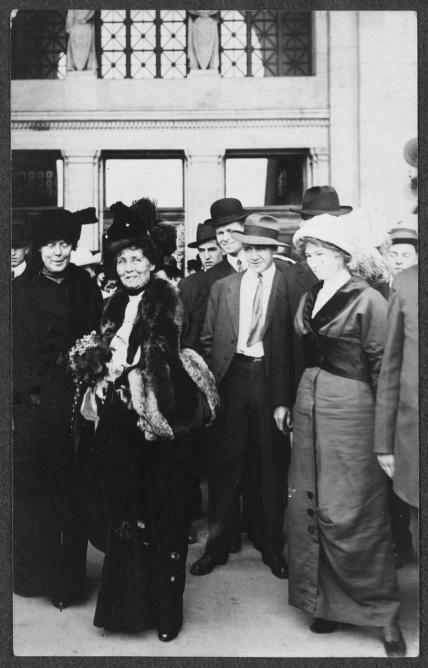 The speech was delivered in Hartford, Connecticut in 1913 as part of Pankhurst’s tour of the US. It was an impassioned statement on the importance of women’s suffrage, and her strong declaration that the suffragettes would fight to the death – and indeed they did during the violent movement in Britain – in order to gain the right to vote. The movement was reviled by many, but without this brutal commitment to the cause, women’s history, and indeed their present position, would look very different. Brevity is the soul of wit, or, in this case, of inspiration. At just 272 words and three minutes in length, The Gettysburg Address is irrefutably one of the most historically significant speeches. The Battle of Gettysburg left over 8000 men dead. Lincoln’s speech followed a powerful, solemn speech by Edward Everett, which came in at around two hours long. 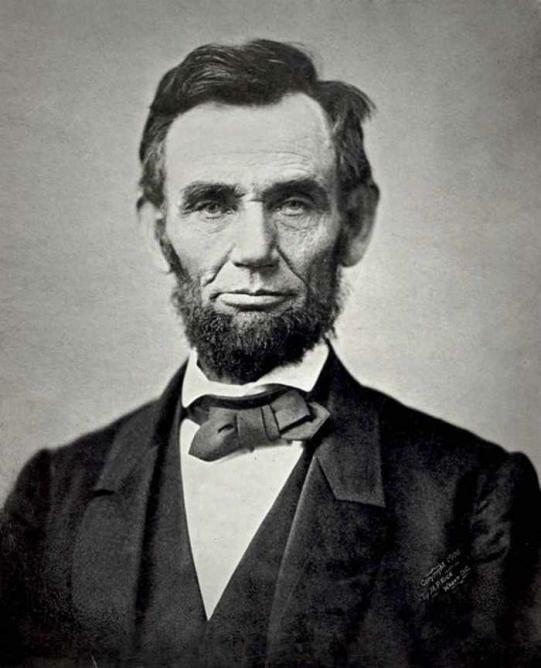 Markedly shorter, Lincoln managed to memorialize the fallen soldiers at Gettysburg and transform the whole view and meaning of the Civil War. This speech led to the eventual end of the war and the abolition movement in the United States, making it arguably the most important 272 words to have been spoken. As a freedom fighter in the Indian independence movement, Subhas Chandra Bose became widely respected and hailed as a patriot and national hero against the British colonial forces, although his legacy is not without its controversies. ‘Give me blood and I will give you freedom’ was to become his most famous quote, and it was regularly uttered to the Indian National Armies in order to motivate them. His strong will did indeed lead to India’s liberation from the British. His methods may be quite contrary to India’s other great orator, but its motivational power is quite undeniable. 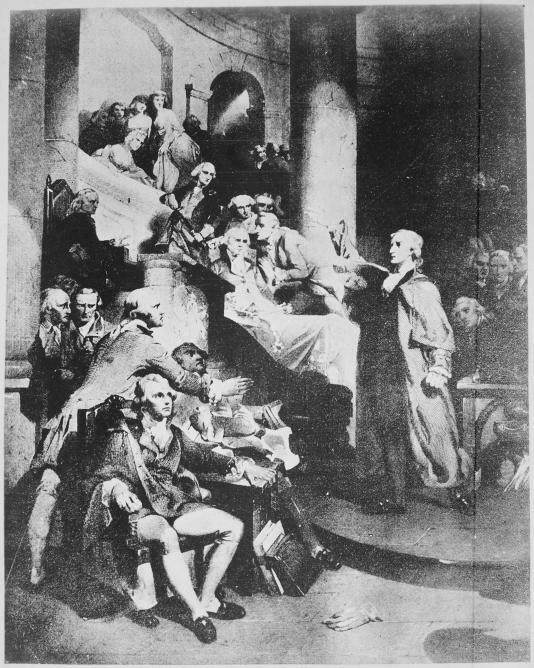 At the time Patrick Henry gave this dramatic speech, revolutionary sentiments had been brewing across the United States for well over a decade. Like a pressure cooker, the anger and resentment towards the British government – quite a theme in many of the great speeches in history – saw the tensions boil and evidently bubble over in 1775. Patriots geared up for war, and Henry made his speech. The speech, which took place in a church, was a call to arms: a call for the patriotic duties of the American citizens which stressed the urgency of the situation. A rousing speech which a stirring climax. Nelson Mandela is one of the most controversial, loved and important figures of the 20th century, and someone who will surely go down as one of the greats in history. The three-hour-long ‘I Am Prepared To Die,’ speech, sometimes called ‘I am the first accused’ was to become a key moment in the history of South African democracy. The country’s politics and social policies during the period were contentious at best, and this was something that Mandela was compelled to speak up against, even though it led to his 27-year imprisonment. The speech, which was made during Mandela’s trial, was met with an emotional sigh from Mandela’s side of the court room, a sigh that they would have to hold for over a quarter of a century. Freedom was to come in time,and the brazen nature of the speech is arguably what saved Mandela from death. The ‘I Have A Dream’ speech will surely go down as one of the most famous speech of all time; certainly, you can’t make a list of the most influential speeches in history and not include it. Martin Luther King‘s speech came a century after the abolition of slavery, at a time when African-American citizens were still without equality, faced fear and persecution on a daily basis, and were denied many of their basic human rights. Laws may change, but perceptions take much longer to catch up. The speech was delivered to over 250,000 civil rights supporters, and was the defining moment in the American Civil Rights Movement, as well as cementing King’s place as one of history’s great orators. The speech shaped modern America thereafter, but watching the news it is disheartening to see that there is still much work to be done for his dream to be fully realised. The second of the Indian orators on our list, this time vying for peace over violence. The speech could not be more different to Bose’s ‘Give Me Blood and I Will Give You Freedom.’ but it goes to show that there is more than one way to influence a nation. Gandhi and the National Indian Congress implored Britain to ‘Quit India’ with a wholly non-violent message on August 8th, 1942. The same day saw the passing of the Quit India Resolution, demanding complete independence from British rule. This was a revolutionary part of the non-violent movement, and a famous case for the word being mightier than the sword, influencing many discussions and decisions thereafter. Otherwise known as the speech calling for the First Crusade. The speech at the Council of Clermont, delivered in 1095 by Pope Urban II, saw so much interest among bishops, nobles and other people of power, that it had to be held in the open air. The Pope urged the Western church to go to the aid of the Greeks against the Seljuq Turks, and to recover Palestine from the rule of the Muslims. There is no official transcript of the speech, but it was the triggering factor for this first crusade and the thinking of all crusades after it. Influential speeches may not necessarily have a positive outcome, but they demonstrate the power of the well-delivered word. The oldest of the speeches on our list by quite some margin. The famed Greek statesman Demosthenes is regarded as one of the finest orators of all time. The ‘Third Philippic’ was delivered as a call to arms against Philip II of Macedon, and was the most successful single speech in his long campaign against the contentious king, who had instigated widespread fighting throughout Ancient Greece. While the Athenians had been largely apathetic towards Philip, following Demosthenes’ speech in 341 BC, cries of ‘To arms! To arms!’ could be heard ringing through the streets. One man can indeed overthrow a tyrant. Winston Churchill is now widely regarded as one of the finest orators, and indeed politicians, of the 20th century. 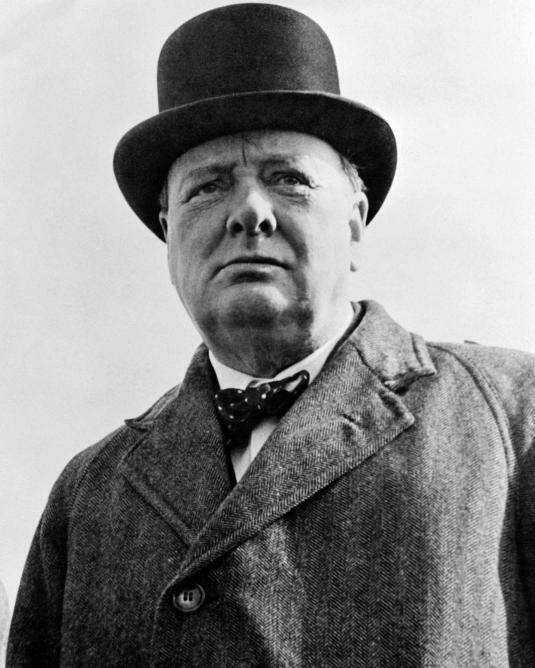 Interestingly, like Demosthenes and other noted speakers from history, Churchill was born with a speech impediment that he worked hard at correcting. How different history would be if he hadn’t. This speech, given at the House of Commons on the 4th of June 1940, declared that the British troops ‘shall go on to the end’ in spite of the seemingly devastating results of the Battle of France. Deliverance was achieved, and his words inspired a revitalized spirit among troops and politicians without which history would have been very different.